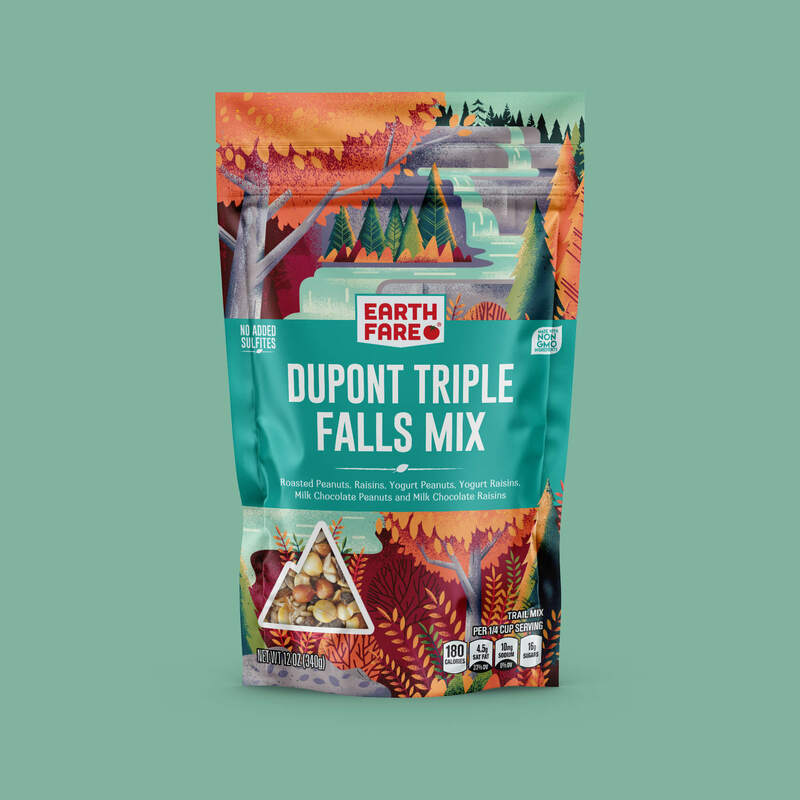 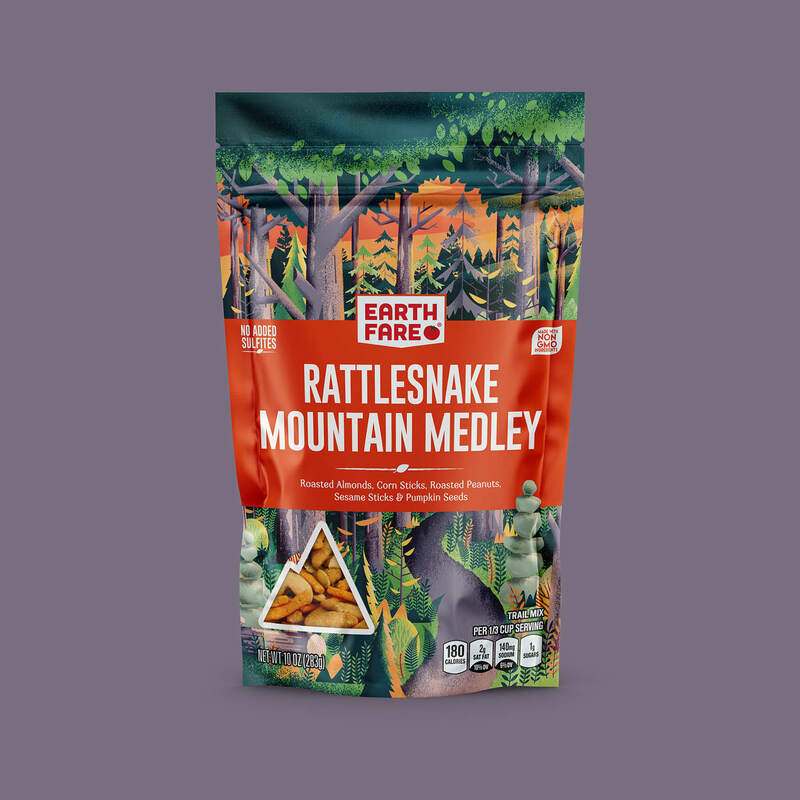 As an avid hiker and outdoor enthusiast, I am an absolute sucker for a good trail mix, so you’d better believe I was excited to illustrate the packaging for Earth Fare Grocery’s entire line of trail mixes! 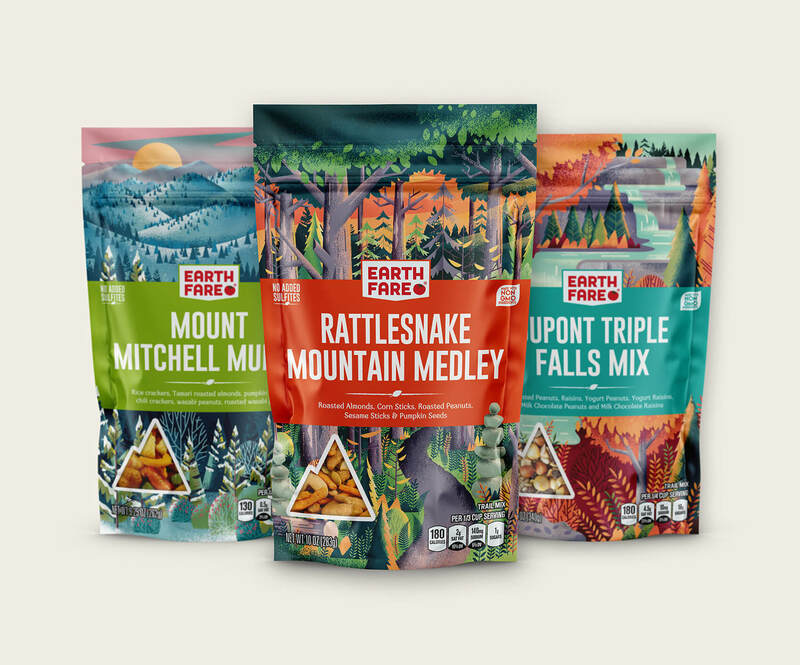 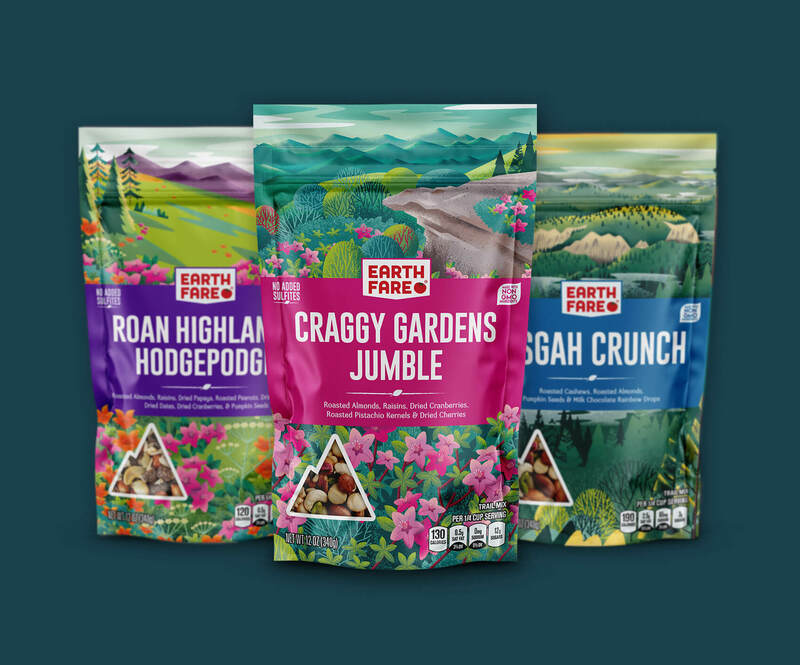 All of the different flavors and varieties are inspired and named after different well known trails and forests and geographical formations found around Asheville, North Carolina, home of Earth Fare’s headquarters. 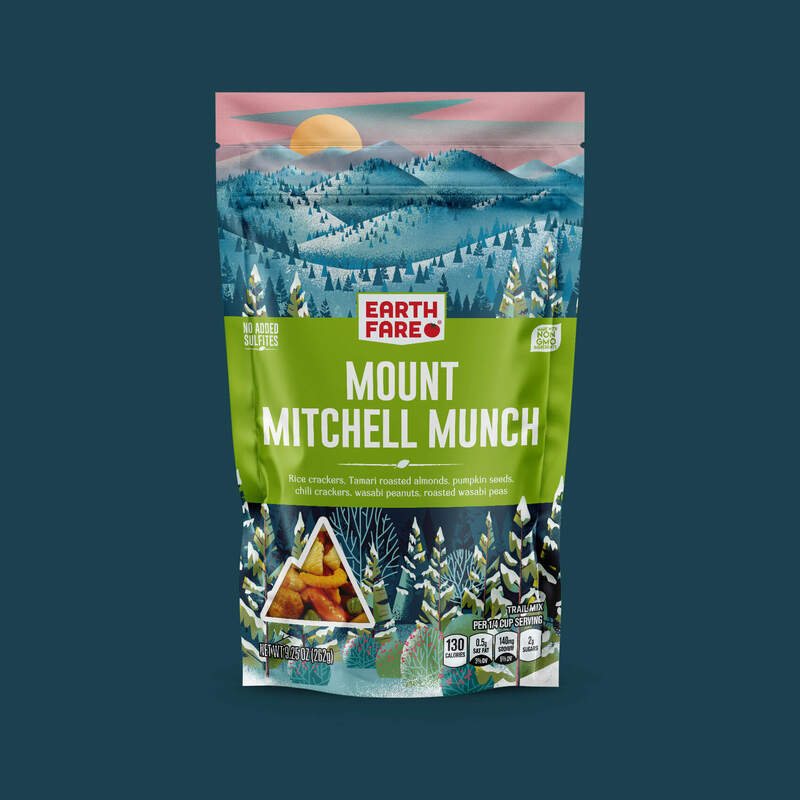 I tried to create the lushest and most inviting nature illustrations I have ever made, attempting to do justice to one of the most beautiful parts of the country.